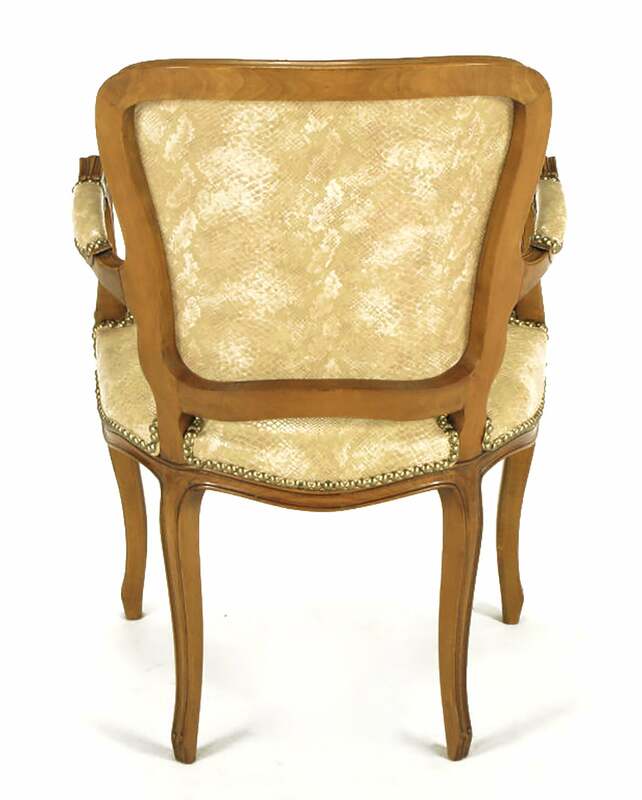 Very good vintage condition with minor age appropriate wear to lower front legs. 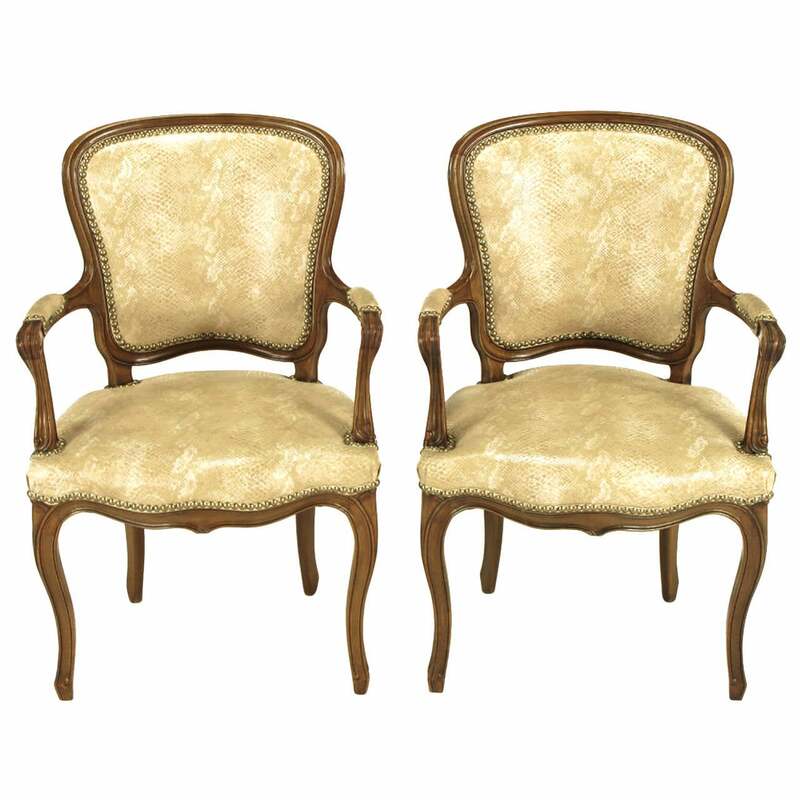 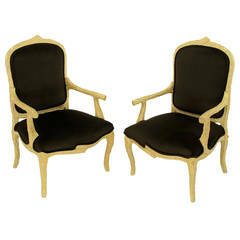 Pair of Louis XV style carved beech wood armchairs, circa 1920. 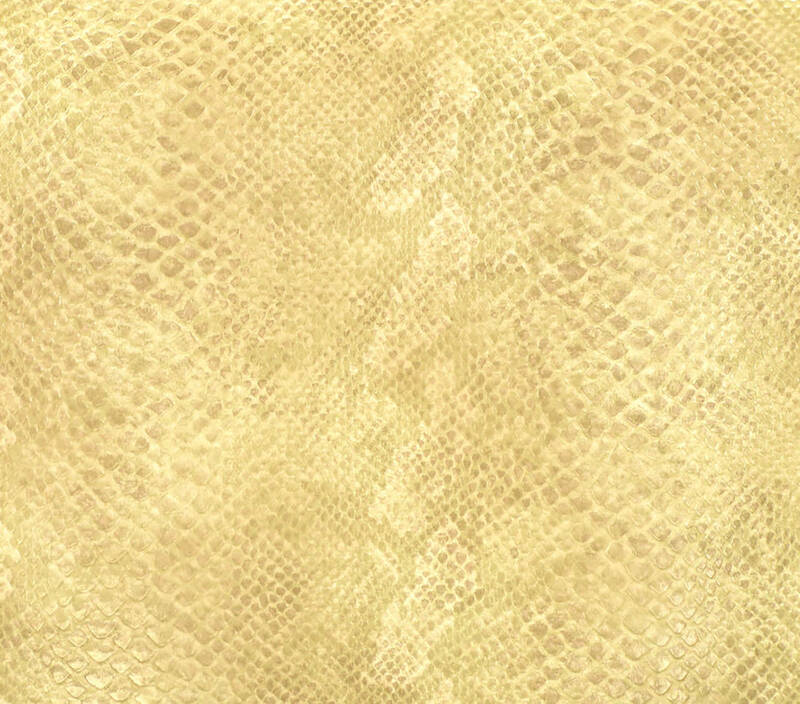 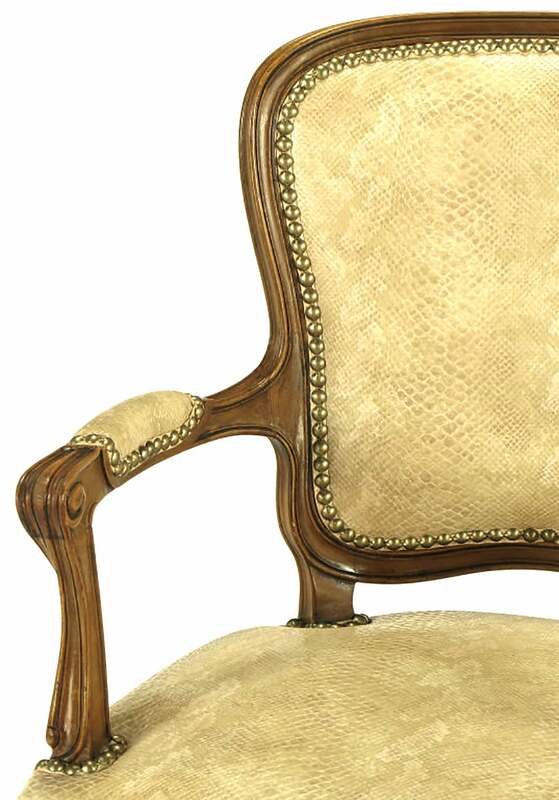 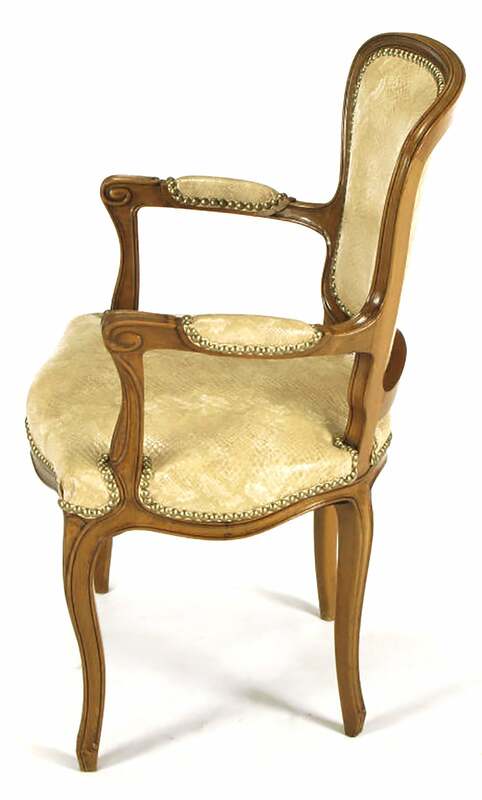 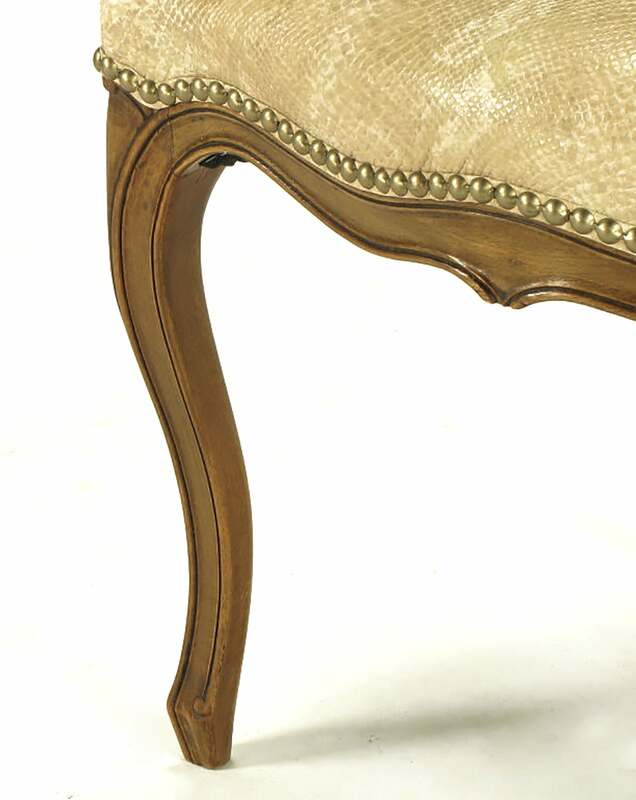 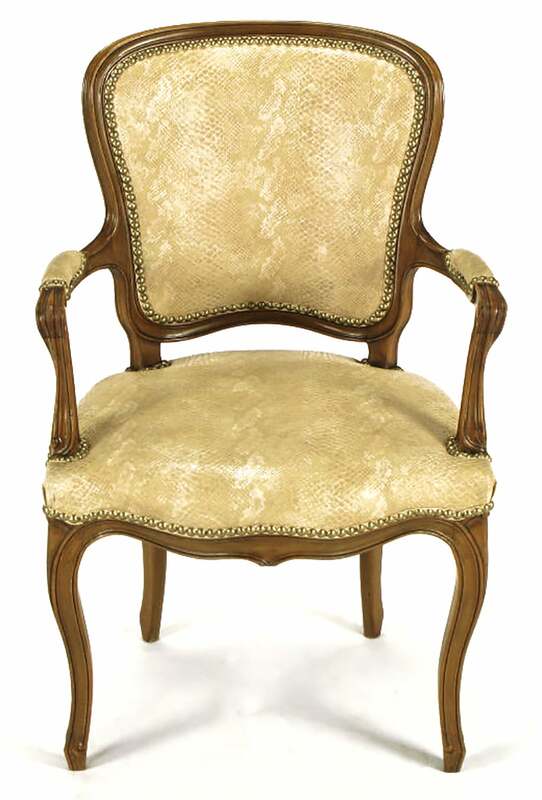 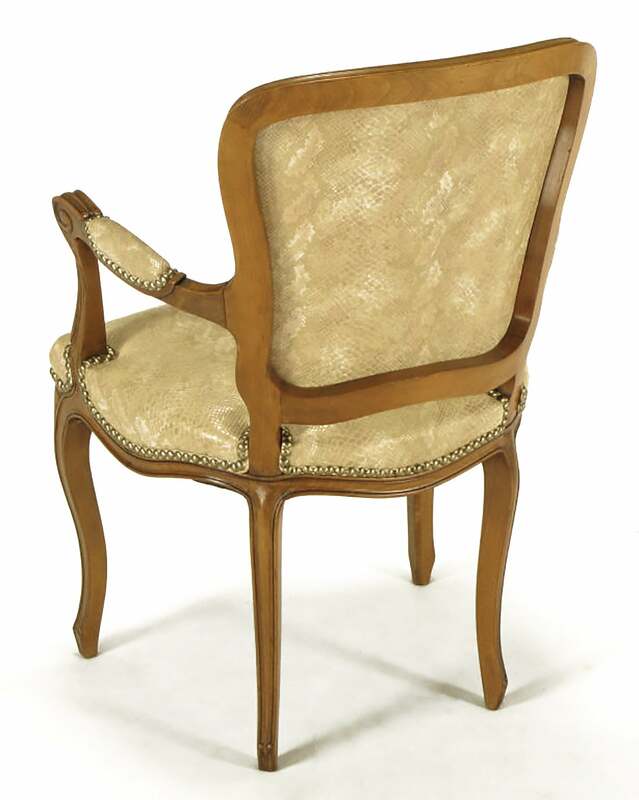 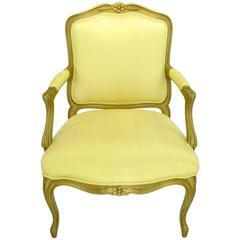 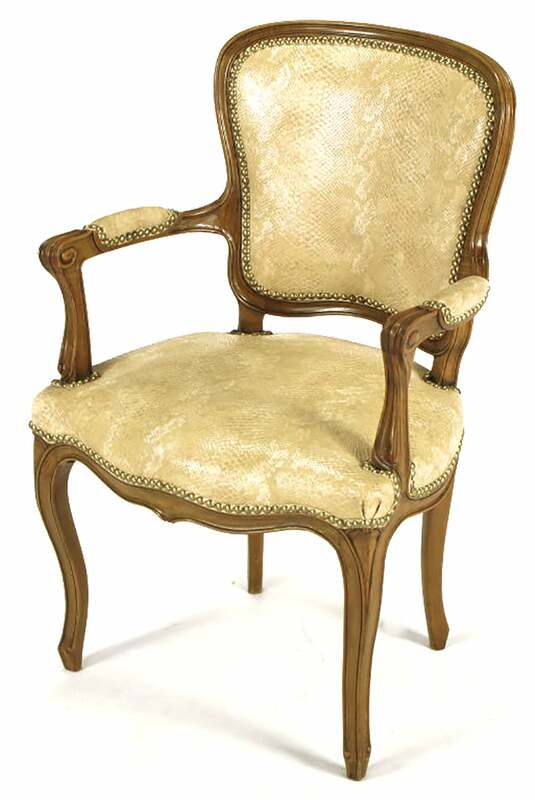 19th century Louis XV armchair in gold velvet and white patinated frame. 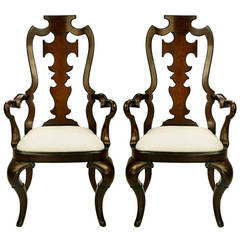 Pair of Italian Baroque style walnut armchairs with gilt finials, one chair is 19th century and the other chair is 20th century.